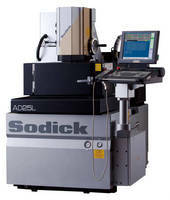 Sinker EDM accommodates workpieces up to 220 lb. 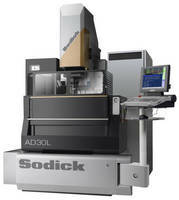 Sinker EDM features linear motor drives on 3 axes. 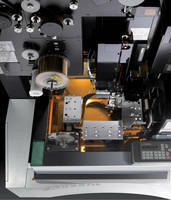 High-Speed Wire EDM utilizes high speed oil dielectric. 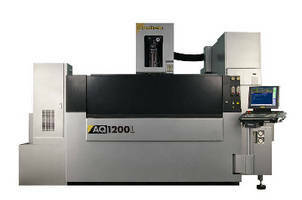 Designed for manufacture of precision dies and parts, linear motor driven AP250L offers capability to use oil dielectric. Eco-Cut O Technology enables accelerated parts machining when using oil dielectric, and bridge design promotes positioning and machining accuracy. Able to accommodate up to 15.7 x 10.6 x 3.9 in. 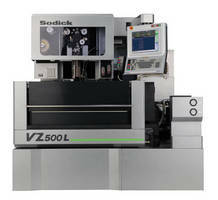 workpieces, EDM offers respective X, Y, and Z axis travels of 9.8, 5.9, and 4.7 in. 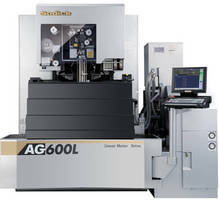 Wire EDM features linear motor system. 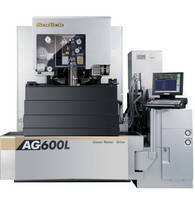 High Speed Wire-Cut EDMs suit high precision applications.